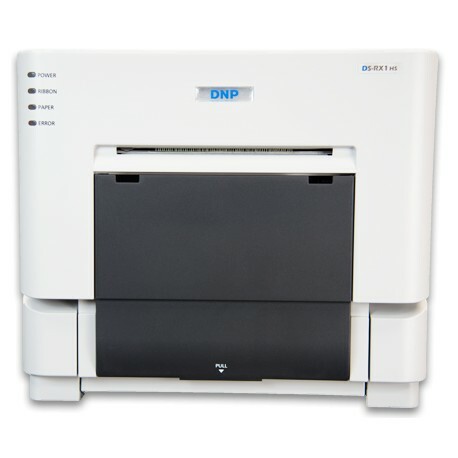 The DS-RX1 HS Dye-Sub Color Photo Printer from DNP features a compact design (12.6 W x 11.0″ H) ideal for photo booth applications. 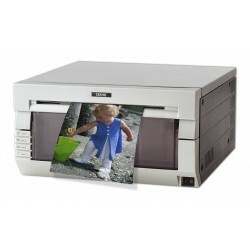 The printer outputs 300 dpi photos and takes just 12.4 seconds to print a 4 x 6″ photo. 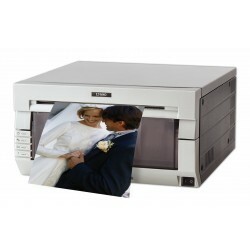 The printer can output the following photo sizes: 2 x 6″, 4 x 6″, 6 x 8″. 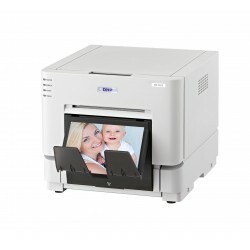 Despite its compact size, the printer is still able to output 700 photos sized 4 x 6″ in a single run. Ideal for photo retailers and professional photographers with photo booth operations, the DS-RX1HS combines inexpensive hardware costs, low media prices and high-end capabilities to provide the largest print capacity in its class and outstanding performance. The DS-RX1HS boasts a 20 percent increase in print speeds, allowing users to produce 4”x6” prints in 12.4 seconds or up to 290 4”x6” prints per hour. 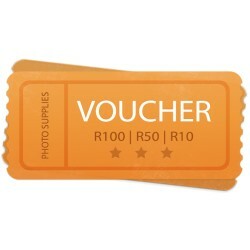 A rugged, durable design, it offers print capacities of 700 4”x6” prints and 350 6”x8” prints, as well as the ability to print 2”x6” photo strips and NEW 6"x6" prints! 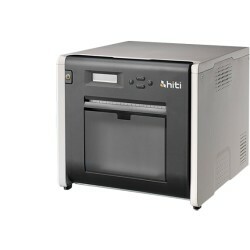 The printer features a unique high-speed mode (300x300dpi) and high-resolution mode (300x600dpi) in glossy or matte finishes. 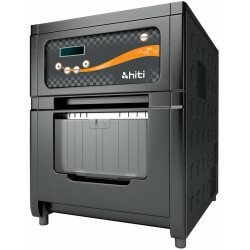 Improved operational support tools come standard with the DS-RX1HS printer, including the addition of USB iSerial for printing to multiple DS-RX1HS printers and a new Status App for Windows OS for real-time monitoring, including media type loaded, prints remaining, printer status, total print count, firmware version, serial number and color control data. 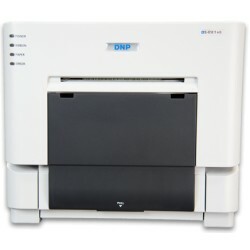 The Mac OS-X Print Center Driver and a new printer Status App for RX1HS and RX1 for Windows, a helper apps to monitor you printer during operation are available for download on the DNP Imagingcomm America web site. DNP also offers other useful utility apps for Windows such as Hot Folder Print Utility to make photo printing quick and easy and are also available for download from our web site: www.dnpphoto.com/Support/Downloads/Drivers-Tools. With the largest print capacity in its class and rugged, durable design, and new higher speed output, the DS-RX1HS answers all the requirements for outstanding performance for local or remote event photo printing venues. 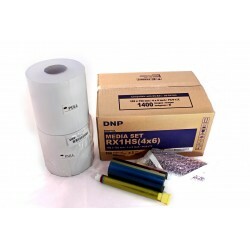 The new DS-RX1HS printer has companion consumable ink ribbon and paper sets – the RX1HS MEDIA SET. These media set can produce print sizes of 2x6*, 4x6, and 6x8, providing a broad array of deliverables. 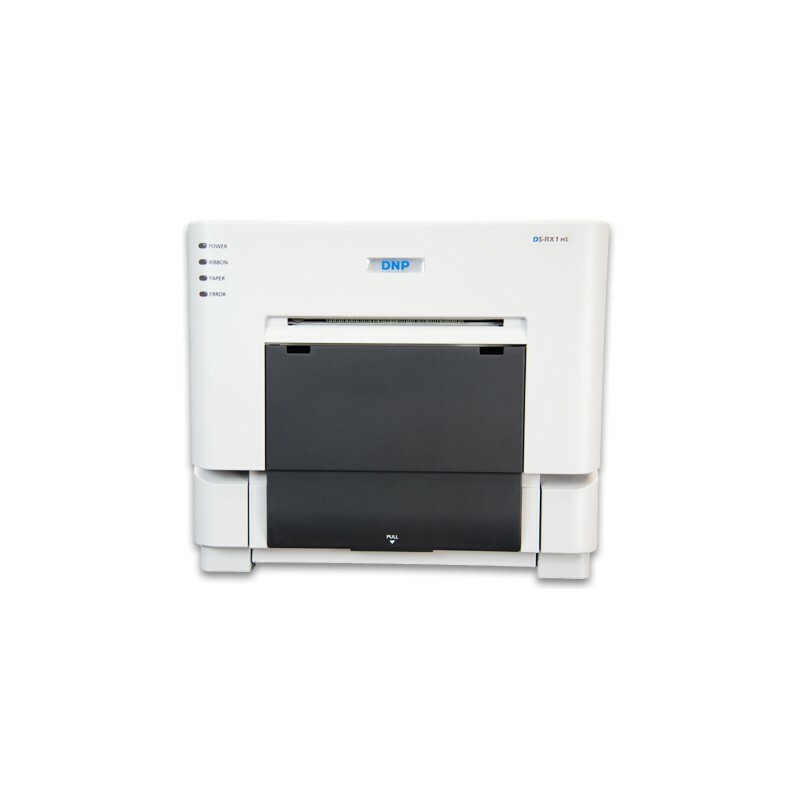 The DS-RX1HS and RX1 printers are supported by a variety of 3rd party photo printing and Photo Booth applications. These allow for quick startup and high productivity. 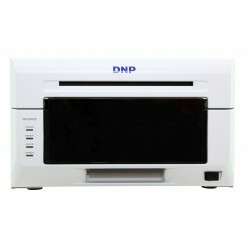 Contact an authorized DNP reseller for further information.